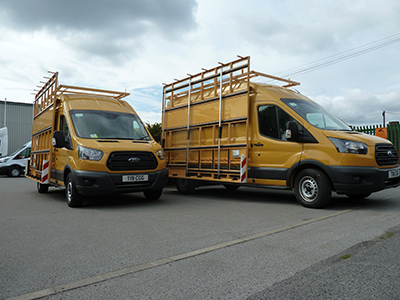 Supertrucks have converted these Transit 3750 LWB Hi's to carry glass and window frames. All the above have been fitted without drilling into the vehicle side wall. To find out how Supertrucks can help convert your van to carry glass and window frames call us on 01744 25348.